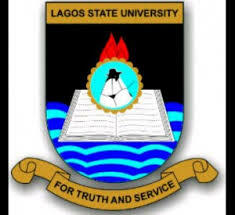 This is to inform all graduates of the Lagos State University, LASU that they can now apply for their transcript collection online. 1. Create your company’s profile by filling in your company’s details. 2. Confirm your details on the confirmation page. 3. Enter a student’s Matric no to verify. 4. Select a document type. 5. Proceed to generate a transaction ID to be used on Quickteller. 6. After registering your profile and successful payment, you can then login to your profile. THE ONLY APPROVED COURIER SERVICE BY THE UNIVERSITY MANAGEMENT IS UNIVERSAL PARCEL SERVICE (UPS) AND PAYMENT IS MADE ONLINE TOGETHER WITH YOUR TRANSCRIPT FEE - IT IS AUTOMATIC. PATRONAGE OF ANY OTHER COURIER SERVICE IS AT THE RISK OF THE PATRON.